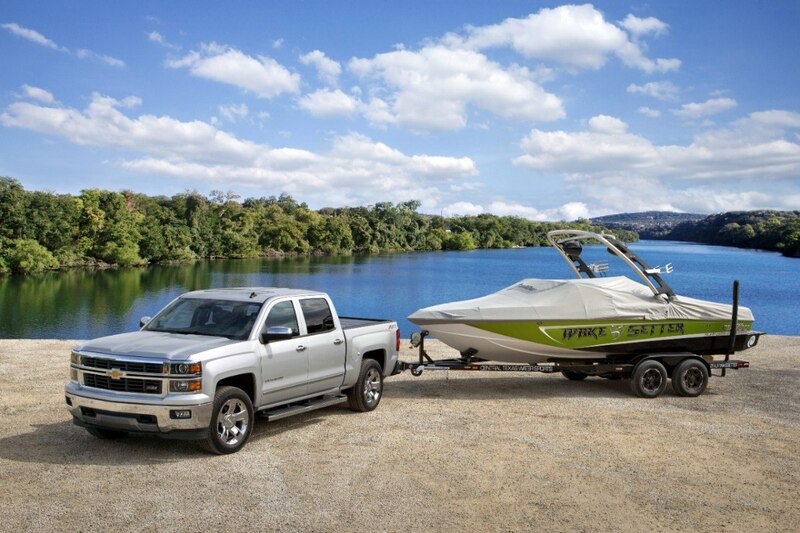 The all-new 2014 Chevrolet Silverado, re-engineered to be stronger, smarter and more capable, is the perfect pickup for hitting the road this summer. 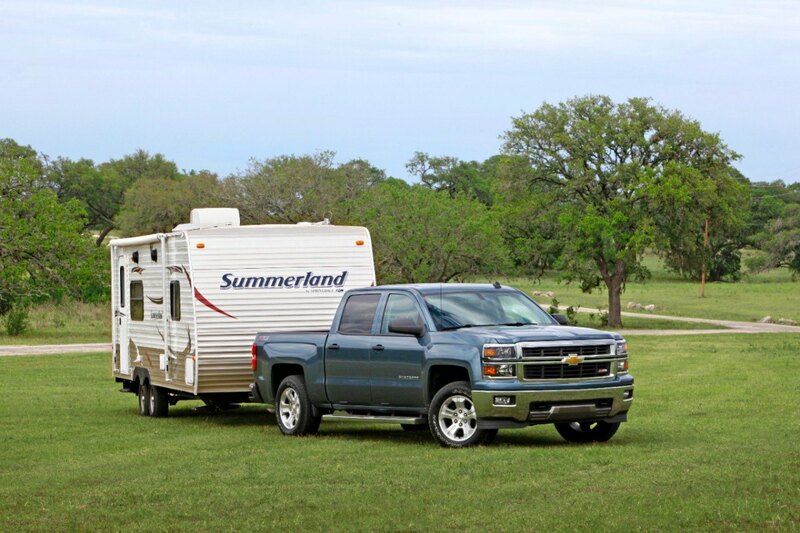 Chevrolet knows drivers taking road trips need more than just extra trunk space, which is why the 2014 Silverado offers something for all passengers. 1. No need to stop for directions. 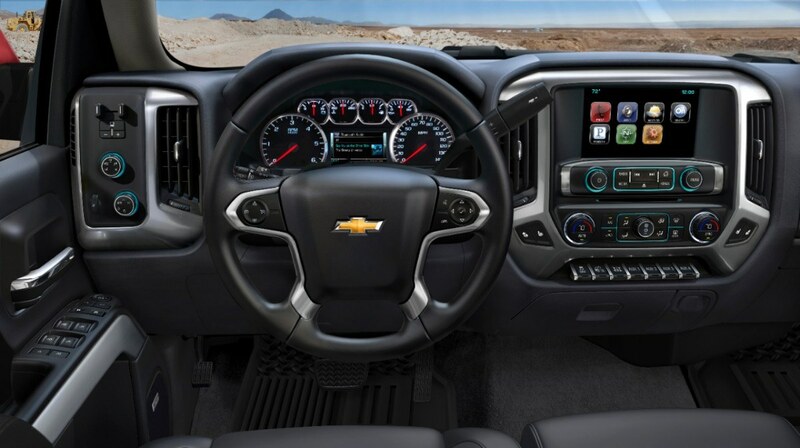 Drivers can stay on course with Chevrolet MyLink and OnStar. Simply choose a destination and an OnStar advisor will send turn-by-turn directions directly to the in-dash touch screen. 2. Ditch the mixed CD. Energize your ride with a road-worthy playlist. The MyLink system includes Bluetooth for phone streaming and enough USB ports and outlets to support multiple devices, making it easier to enjoy your music on the road. 3. Forget the days of the dead cell phone. Stay charged up with a new 110-volt outlet and cord management system, which allows a cell phone charger to stay plugged in for easy access when needed and concealed when not. 4. Store snacks and water for the road. The front door panels have integrated pockets ideal for snacks, drink bottles, or travel guides. The rear panels can accommodate a typical 20-ounce bottle. 5. Spend less time stopping for gas. The redesigned 2014 Silverado is aerodynamically enhanced to reduce drag, giving drivers greater fuel efficiency on the highway. 6. Stretch out. Passengers can enjoy plenty of legroom, even in the backseat. Thanks to new sculpted seatbacks, rear seat passengers enjoy about two inches more legroom and the ease of entering and exiting through wider rear crew cab doors. 7. Sleep it off. Passengers can enjoy a quiet nap thanks to Silverado’s new inlaid doors. This new design, combined with triple door seals, helps to reduce wind noise and turbulence, quieting the interior of the cab. 8. Secure travel necessities. With Silverado’s new Smart Pickup Box and four built-in cargo tie-down provisions, items remain safe and secure on the road. The new CornerStep bumper and handholds provide easier access to climb in the box for loading and unloading. 9. 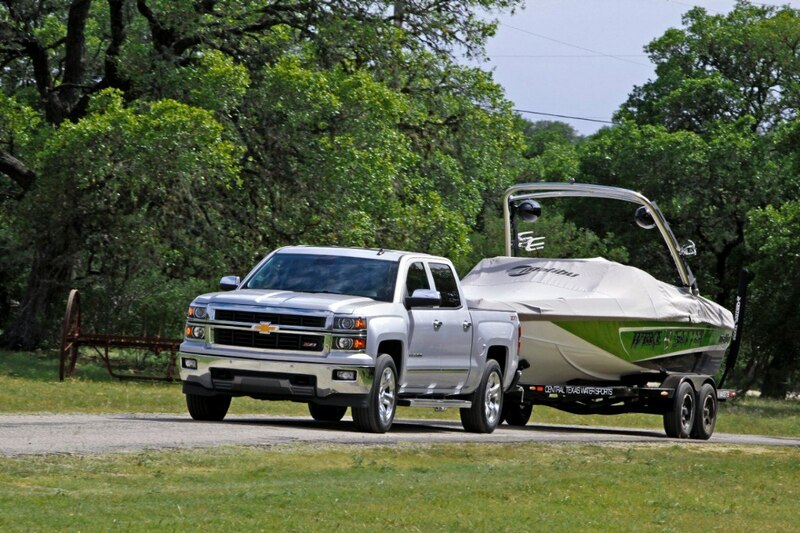 Tow your boat, camper, trailer, and more. Silverado’s 5.3 L EcoTec3 V-8 and stronger chassis provide towing capability, up to 11,500 pounds, for hauling on long road trips. 10. Be on the safe side. Travel companions stay safe with Silverado’s two available active safety technologies – forward collision alert and lane departure warning. These features, new to the 2014 Silverado, warn of collision risk or leaving a lane without signaling.